Do you know a chef who needs recognizing? 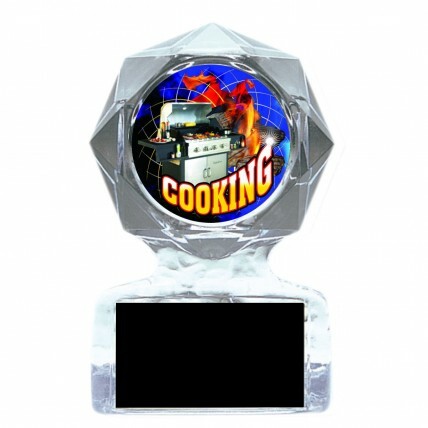 The BBQ Champ Acrylic Trophy is perfect for cook-offs and BBQ challenges! 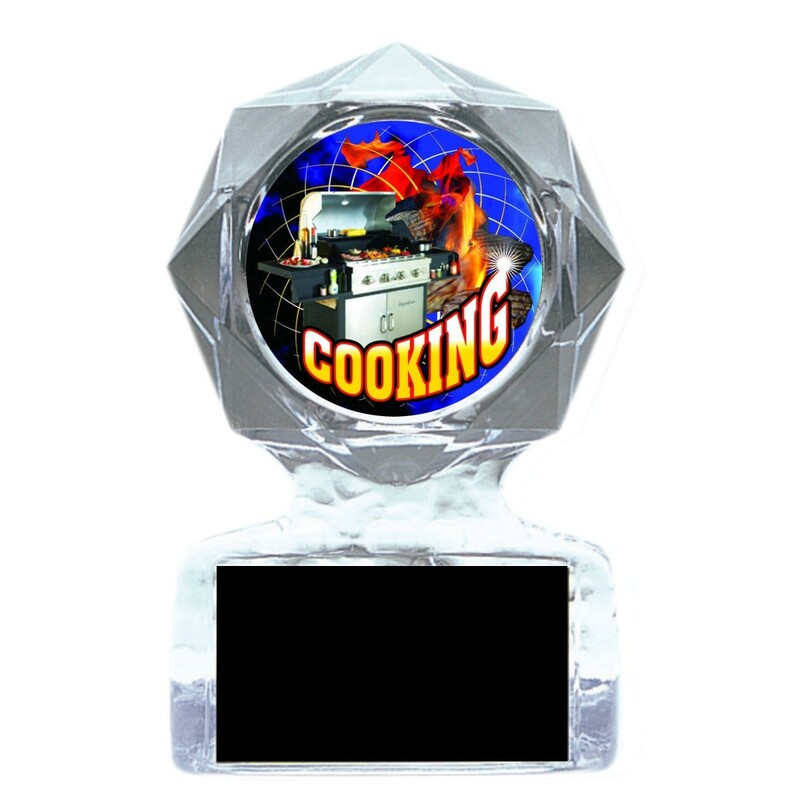 This award is made of clear acrylic in an interesting geometric star shape. A colorful mylar insert depicts a grill and the word cooking. Personalize with three lines of engraving on a black plate! Two size options.